Pope Francis urged Christians to avoid being seduced by a society that measures the value of humans by how much they own or produce, but to instead turn their focus to God. He said that the true value in life is found not in success, but in what we have inside. "What matters is not appearances, and the value of life does not depend on the approval of others or of success, but on what we have inside," said the Pope. In his homily, the Pope said that conversion starts with recognizing that "we are creatures, that we are not God." Too many people today, he added, think they have power and "play at being God the creator." 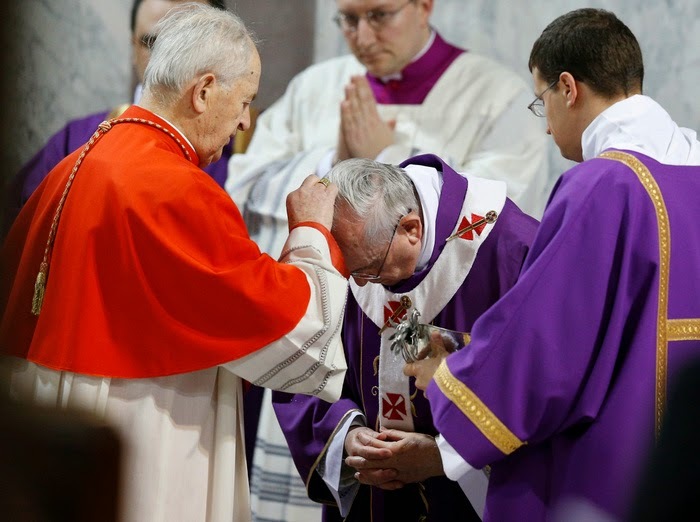 The Pope said "Lent comes providentially to reawaken us, to shake us from our lethargy," and he explained the need for prayer, fasting and almsgiving.